On December 21, 2012, the climbing community and MSR lost a dear friend. 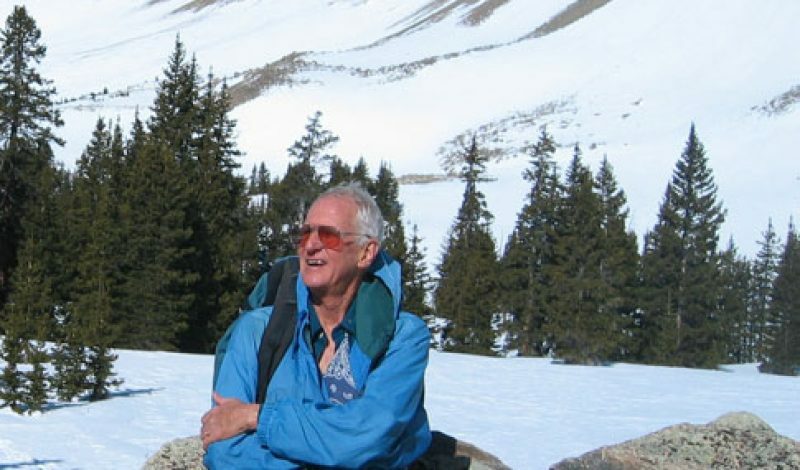 Bill Forrest, the Colorado climbing legend and prolific inventor, died of natural causes while snowshoeing on Monarch Pass, near his home in Salida, Colorado. MSR and Bill Forrest have a rich history together. It began in the winter of 1994 when Bill showed the company a prototype of an innovative new snowshoe he had built—the Forrest snowshoe. The snowshoe was plastic molded with steel traction bars lining the length on each side, steel crampons, and modular tails that could be interchangeable to allow for more flotation when needed. The design concept came to Forrest in the winter of 1993-94 while training for a climb on Mount Everest’s North Ridge by climbing 14,000 foot Colorado peaks, for which he needed snowshoes with more durability and traction than were available at the time. Early in 1995, MSR purchased Forrest’s snowshoe design and hired him as a full-time employee to develop the snowshoe. In August of that year, MSR successfully showed the new Denali snowshoe at the Outdoor Retailer tradeshow and made its first sales of the product. Since then, design improvements have been made every year, but the original concept of Bill’s snowshoe continues to stand the test of time and has become one of MSR’s best-selling products—the Evo Ascent snowshoe. In the fall of 1999, while freelancing with MSR, Forrest came up with a new idea, and showed the company his revolutionary concept for the ‘White Lightning’ snowshoe. The concept featured 360-degree perimeter traction, lightweight, vertical crossbars for additional traction and open tension buckles for simplified binding attachment. MSR worked with Bill to evolve this concept into what is now the MSR Lightning Ascent snowshoe. A memorial service for Forrest will be held January 13 at 2 p.m. at First Presbyterian Church in Salida.